For the third time in franchise history the Windsor Spitfires are Mastercard Memorial Cup champions. Fourth-year veteran Aaron Luchuk scored the game winner 5:07 into the third period as the host Spitfires defeated the OHL champion Erie Otters 4-3 before a capacity crowd of 6,519 at the WFCU Centre. Toronto Maple Leafs prospect Jeremy Bracco led the way with a goal and two helpers in the win, registering the lone assist on Luchuk’s game winning goal while Michael DiPietro made 32 saves and came up big late in the game. The Spitfires become the tenth host team to hoist the Memorial Cup since 1983 and first since the Shawinigan Cataractes did so in 2012. Second-year Spitfires head coach Rocky Thompson put his club through a rigorous 44-day training regimen following their first round elimination from the OHL Playoffs. They came to the tournament in top condition, going undefeated with a pair of wins over Erie along with others against Saint John and Seattle. “My guys are amazing,” said Thompson. “We saw what they’ve gone through here. We witnessed what they had to go through during that break. It’s an amazing feeling and an amazing thing that those guys did. A fiercely intense, furiously paced first period of hockey saw end-to-end action, blocked shots and big saves on both sides of the puck. The much sought-after first goal went to the Spitfires as Bracco converted on Windsor’s first power play of the night. 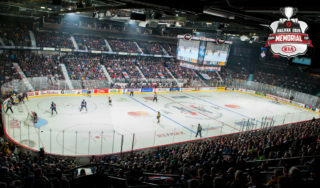 The shifty winger jumped on a loose puck off a goalmouth scramble, sliding a puck through the legs of a stickless Timpano at 13:01 as the sold out WFCU Centre erupted. The Otters would respond though as captain Dylan Strome scored his seventh of the tournament just 49 seconds later. Strome’s quick wrister off the post and in came on a tremendous display of patience from defenceman Darren Raddysh who held the puck in at the offensive blue line before finding an open Strome for the finish with a cross-ice feed. Erie would lead for 52 seconds early in the second period as Warren Foegele redirected a Dylan Strome shot past DiPietro in the slot at 5:35 before Winnipeg Jets prospect Logan Stanley tied the score at two a shift later. Stanley’s first goal since January 12th came on a wrist shot from the point through traffic that found its way past Timpano at 6:27. The Otters regained the lead, pulling ahead 3-2 on a goal from blueliner TJ Fergus at 12:41. Erie’s fourth line of Ivan Lodnia, German Poddubnyi and Cameron Lizotte got the Otters on the board as the puck got back to the point for Fergus who fired a low release off a Spitfires defender and past DiPietro. The see-saw affair continued as Windsor went on the power play under two minutes later, setting up a perfectly executed passing play with Graham Knott providing the finish with his third of the tournament at 14:53. The Spitfires worked the puck down low for a cross-crease feed from Gabriel Vilardi to give him his second assist of the game and seventh of the tournament. The two clubs ended the second period tied at three as Erie led on the shot clock 24-17. Luchuk’s winner came 5:07 into the third as Bracco did the lion’s share of the work, busting down the wing to draw a pair of Erie defenders in before finding Luchuk coming down the middle as he beat Timpano over the glove to give Windsor a 4-3 lead. Luchuk managed to get free from his check as both clubs were in the midst of line changes, giving the speedy veteran ample time to pick a corner. The Otters made a late push, hitting a goal post inside the final two minutes of play but big saves from DiPietro carried the Spits to the final buzzer as they streamed onto the ice in celebration. 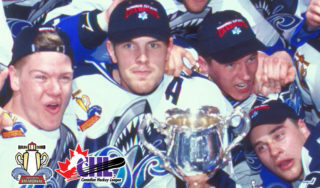 Windsor’s 12th consecutive Mastercard Memorial Cup victory ties an event record set by the Kamloops Blazers between 1992-95. 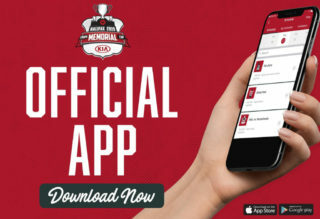 Their third title follows other championships in 2009 and 2010 and equals the Cornwall Royals (1972, 1980, 1981) and the Blazers (1992, 1994, 1995) for the most championships won since the introduction of the round robin format in 1972. Spitfires general manager Warren Rychel (2009, 2010, 2017) joins Matt Leyden (Oshawa Generals, 1939, 1940, 1944) and Bob Brown (Kamloops Blazers, 1992, 1994, 1995) as the third GM in Mastercard Memorial Cup history to win three career championships. The Spits played to an overall record of 4-0 at the 2017 Mastercard Memorial Cup, outscoring opponents 18-8. 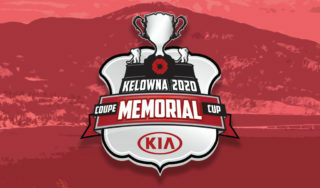 Seventeen-year-old goaltender Michael DiPietro earned the Hap Emms Memorial Trophy as the tournament’s most outstanding goaltender. The native of nearby Amherstburg, Ont. went 4-0 with a 2.00 goals-against average and a .932 save percentage. Erie Otters captain Dylan Strome received the Stafford Smythe Memorial Trophy as Mastercard Memorial Cup MVP. Strome led the tournament in goal-scoring with seven over his four contests, one shy of a tournament record. 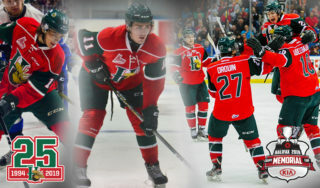 He finished tied with teammate Taylor Raddysh for the tournament lead in points with 11 (4-7–11). 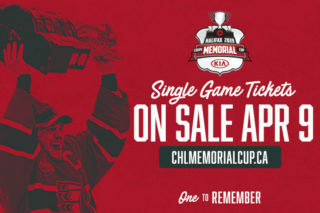 Bracco, who led the Spitfires in scoring with eight points (3-5–8), became the 24th player in tournament history to hoist the Memorial Cup in the same year as having won World Junior Hockey Championship gold. Bracco claimed World Junior supremacy with the United States in January, becoming the first Spitfires player to accomplish both feats since Cam Fowler did so in 2010. The Windsor Spitfires are the 99th champion in Mastercard Memorial Cup history, and the third straight champion from the Ontario Hockey League which marks the first time in the event’s modern era that the OHL has produced three straight winners.